Harry Lloyd Hopkins was born in Sioux City, Iowa, on 17th August, 1890. After graduating from Grinnell College in 1912 he became a social worker in New York City. He was also active in the Democratic Party and a strong supporter of Alfred Smith. 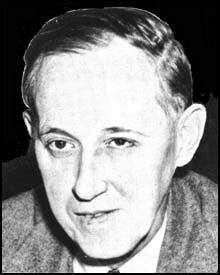 In 1931 Franklin D. Roosevelt appointed Hopkins as the executive director of the New York State Temporary Emergency Relief Administration. The historian, William E. Leuchtenburg, has argued: "Harry Hopkins... directed relief operations under Roosevelt in Albany. For a social worker, he was an odd sort. He belonged to no church, had been divorced and analyzed, liked race horses and women, was given to profanity and wisecracking, and had little patience with moralists... A small-town Iowan, he had the sallow complexion of a boy who had been reared in a big-city pool hall... He talked to reporters - often out of the side of his mouth - through thick curls of cigarette smoke, his tall, lean body sprawled over his chair, his face wry and twisted, his eyes darting and suspicious, his manner brusque, iconclastic, almost deliberately rude and outspoken." When Roosevelt became president he recruited Hopkins to implement his various social welfare programs. As John C. Lee has pointed out: "On the whole, it is apparent that the mission of the Civil Works Administrator had been accomplished by 15th February 1934. His program had put over four million persons to work, thereby directly benefiting probably twelve million people otherwise dependent upon direct relief. The program put some seven hundred million dollars into general circulation. Such losses as occurred were negligible, on a percentage basis, and even those losses were probably added to the purchasing power of the country." Frances Perkins later recalled: "Hopkins became not only Roosevelt's relief administrator but his general assistant as no one had been able to be. There was a temperamental sympathy between the men which made their relationship extremely easy as well as faithful and productive. Roosevelt was greatly enriched by Hopkins knowledge, ability, and humane attitude toward all facets of life." The artist, Peggy Bacon met Hopkins during this period: "Pale urban-American type, emanating an aura of chilly cynicism and defeatest irony like a moony, melanchology newsboy selling papers on a cold night." Robert Sherwood, one of President Roosevelt's closest advisors, described him as "a profoundly shrewd and faintly ominous man." The journalist, Raymond Gram Swing, became a close friend and argued in his book, Good Evening (1964): "One of my friendliest sources in the government was Harry Hopkins, who never was too busy to answer the telephone or see me in an emergency.... The public distrusted him for being a professional social worker who suddenly came to execute high government policy under the New Deal. That the policies he helped create turned out to be beneficial and preserved the American way of life, free enterprise included, will in time be recognized." Hopkins worked for the Federal Emergency Relief Administration (1933-35) and the Works Projects Administration (1935-38). In a speech in 1936 Hopkins argued: "I believe the days of letting people live in misery, of being rock-bottom destitute, of children being hungry, of moralizing about rugged individualism in the light of modern facts - I believe those days are over in America. They have gone, and we are going forward in full belief that our economic system does not have to force people to live in miserable squalor in dirty houses, half fed, half clothed, and lacking decent medical care." As head of the WPA Hopkins employed more than 3 million people and was responsible for the building of highways, bridges, public buildings and parks. President Franklin D. Roosevelt authorized Hopkins to set up the Civil Works Administration (CWA). William E. Leuchtenburg, the author of Franklin D. Roosevelt and the New Deal (1963), has pointed out: "CWA was a federal operation from top to bottom; CWA workers were on the federal payroll. The agency took half its workers from relief rolls; the other half were people who needed jobs, but who did not have to demonstrate their poverty by submitting to a means test. CWA did not give a relief stipend but paid minimum wages. Hopkins, called on to mobilize in one winter almost as many men as had served in the armed forces in World War I, had to invent jobs for four million men and women in thirty days and put them to work. By mid-January, at its height, the CWA employed 4,230,000 persons." The Federal Emergency Relief Administration now took up the relief burden again. It continued the CWA's unfinished work projects. FERA also erected five thousand public buildings and seven thousand bridges, cleared streams, dredged rivers and terraced land. FERA also employed teachers and over 1,500,000 adults were taught to read and write. It also ran nursery schools for children from low-income families, and helped 100,000 students to attend college. By 1935 a total of $3,000,000,000 was distributed. Most of this money went to Home Relief Bureaus and Departments of Welfare for Poor Relief. Franklin D. Roosevelt felt he had little to show for this money. The Great Depression continued and over 20 million men were still receiving public assistance. He wrote to Edward House in November, 1934: "What I am seeking is the abolition of relief altogether. I cannot say so out loud yet but I hope to be able to substitute work for relief." In January, 1935, Roosevelt proposed a gigantic program of emergency public employment, which would give work to 3,500,000 people without work. Roosevelt told Congress that relief was "a narcotic, a subtle destroyer of the human spirit... I am not willing that the vitality of our people be further sapped by the giving of cash, a market baskets, of a few hours of weekly work cutting grass, raking leaves or picking up papers in the public parks. The Federal Government must and shall quit this business of relief." The Works Projects Administration (WPA) was established in April 1935. Harold Ickes wanted to head the agency. He argued that Harry Hopkins was an irresponsible spender and was not "priming the pump" but "just turning on the fire-plug". Ickes wanted the money spent on heavy capital expenditures whereas Hopkins advocated putting to work as many men as he could who were presently on relief. Roosevelt's main objective was to reduce the numbers on relief and he gave Hopkins overall control of the WPA. In 1935 the WPA spent $4.9 billion (about 6.7 percent of GDP). The main objective was to provide one paid job for all families in which the breadwinner suffered long-term unemployment.Over the next few years the WPA built more than 2,500 hospitals, 5,900 school buildings, 1,000 airport landing fields, and nearly 13,000 playgrounds. At its peak in 1938, it provided paid jobs for three million unemployed men (and some women). Hopkins also worked as Secretary of Commerce (1938-40). During the early stages of the Second World War he was Roosevelt's personal envoy to Britain. He was also a member of the War Production Board and served as Roosevelt's special assistant (1942-45). William Leahy worked closely with Hopkins: "Hopkins had an excellent mind. His manner of approach was direct and nobody could fool him, not even Churchill. He was never influenced by a person's rank. Roosevelt trusted him implicitly and Hopkins never betrayed that trust. The range of his activities covered all manner of civilian affairs - politics, war production, diplomatic matters - and, on many occasions, military affairs.... By his brilliant mind, his loyalty, and his selfless devotion to Franklin Roosevelt in helping carry on the war, Harry Hopkins soon erased completely any previous misgivings I might have held." Raymond Gram Swing has pointed out: "It was his position as President Roosevelt's chief assistant in World War II that, in particular, needs to be better appreciated and valued. He was not Mr. Roosevelt's closest friend, for the President of the United States does not have friends in the true sense of the word. He cannot have loyalty to individuals, since he has placed his loyalty to the country first. And to be his first assistant calls for humility as well as devotion, and an ability almost on a par with his leader's. In the innumerable conferences Harry Hopkins attended abroad as the President's emissary, he was blunt of speech, adroit of mind, and dedicated to the requirements of victory." Hopkins became involved in controversy while at the Yalta Conference. The journalist, Drew Pearson, claimed that it was agreed that the Red Army should be the first military force to enter Berlin. Hopkins issued a statement on 23rd April, 1945: "There was no agreement made at Yalta whatever that the Russians should enter Berlin first. Indeed, there was no discussion of that whatever. The Chiefs of Staff had agreed with the Russian Chiefs of Staff and Stalin on the general strategy which was that both of us were going to push as hard as we could. It is equally untrue that General Bradley paused on the Elbe River at the request of the Russians so that the Russians could break through to Berlin first." On the death of President Franklin D. Roosevelt Hopkins helped arrange the Potsdam Conference for Harry S. Truman but retired from public life soon afterwards. Hopkins told his friend, Robert E. Sherwood: "You and I have got something great that we can take with us all the rest of our lives. It's a great realization. Because we know it's true what so many people believed about him and what made them love him. The President never let them down. That's what you and I can remember. Oh, we all know he could be exasperating, and he could seem to be temporizing and delaying, and he'd get us all worked tip when we thought he was making too many concessions to expediency. But all of that was in the little things, the unimportant things - and he knew exactly how the little and how unimportant they really were. But in the big things - all of the things that were of real, permanent importance - he never let the people down." Harry Lloyd Hopkins died of cancer in New York City on 29th January, 1946. Hopkins became not only Roosevelt's relief administrator but his general assistant as no one had been able to be. There was a temperamental sympathy between the men which made their relationship extremely easy as well as faithful and productive. Roosevelt was greatly enriched by Hopkins knowledge, ability, and humane attitude toward all facets of life. One of my friendliest sources in the government was Harry Hopkins, who never was too busy to answer the telephone or see me in an emergency. I visited him often, and during his illness talked with him more than once while he occupied the celebrated Lincoln bedroom in the White House. I wish to add a comment about Harry Hopkins. I consider him only temporarily debarred from recognition as one of America's invaluable men, and am confident historians will rediscover him and his stature among the great world leaders during World War II. Possibly one reason lie is not yet so regarded is that personally he was brash and indifferent to social niceties. He was playfully a kind of tough guy, talked like one, dressed carelessly, and made no salaams to the great proprieties which most men in public life take for granted they must do. The public distrusted him for being a professional social worker who suddenly came to execute high government policy under the New Deal. That the policies he helped create turned out to be beneficial and preserved the American way of life, free enterprise included, will in time be recognized. It was his position as President Roosevelt's chief assistant in World War II that, in particular, needs to be better appreciated and valued. He was not Mr. Roosevelt's closest friend, for the President of the United States does not have friends in the true sense of the word. He cannot have loyalty to individuals, since he has placed his loyalty to the country first. And to be his first assistant calls for humility as well as devotion, and an ability almost on a par with his leader's. In the innumerable conferences Harry Hopkins attended abroad as the President's emissary, he was blunt of speech, adroit of mind, and dedicated to the requirements of victory. It is well to recall that Prime Minister Churchill, in a burst of cordiality, told him that after the war he must come to live in England so that he could be given a peerage and be known as "Lord Heart of the Matter." As chief of the Munitions Assignment Board he had some control of strategy in the war; and because the United States was a member of a coalition, he had some control of world strategy. He was an invaluable liaison between the Pentagon and the White House. It was he who proposed General George C. Marshall to be chief of staff. He also was constantly concerned about the work of cabinet offices. His relationship with the President made such activities inevitable. The amount of work he did would have staggered a healthy man, but he carried the load without complaint until his cancer brought his services to an end. I believe the days of letting people live in misery, of being rock-bottom destitute, of children being hungry, of moralizing about rugged individualism in the light of modern facts - I believe those days are over in America. They have gone, and we are going forward in full belief that our economic system does not have to force people to live in miserable squalor in dirty houses, half fed, half clothed, and lacking decent medical care. The accomplishments of the CWA were possible through the arduous efforts of Mr. Hopkins and the group of able young assistants which he has assembled and inspired. They have worked daily long into the night with a morale easily comparable to that of a war emergency. These assistants address Mr. Hopkins fondly as "Harry". There is no rigidity or formality in their staff conferences with him, yet he holds their respect, confidence, and seemingly whole-souled co-operation. Practically all have had active experience in social welfare or other work of a relief nature. On the whole, it is apparent that the mission of the Civil Works Administrator had been accomplished by 15th February 1934. His program had put over four million persons to work, thereby directly benefiting probably twelve million people otherwise dependent upon direct relief. The program put some seven hundred million dollars into general circulation. Such losses as occurred were negligible, on a percentage basis, and even those losses were probably added to the purchasing power of the country. Thus, Mr. Hopkins' loose fluidity of organization was justified by the results achieved. It enabled him to engage for employment in two months nearly as many persons as were enlisted and called to the colors during our year and a half of World War mobilization, and to disburse to them, weekly, a higher average rate of wages than Army or Navy pay. As was so often the case, "Harry the Hop," as we called him around the White House, would remain silent for long intervals during any discussion, but he would usually be the first man to put a finger on the essential element of a problem. Churchill's jesting title, "Lord Root of the Matter," was an accurate description. Hopkins had an excellent mind. His manner of approach was direct and nobody could fool him, not even Churchill. He was never influenced by a person's rank. Roosevelt trusted him implicitly and Hopkins never betrayed that trust. The range of his activities covered all manner of civilian affairs - politics, war production, diplomatic matters - and, on many occasions, military affairs. We saw a great deal of each other. The only previous impressions I had of Hopkins concerned his various relief activities in the first years of the Roosevelt administration, and I, perhaps, held some prejudices against him. I frequently joked with him about those days and sometimes called him "Pinko" or "Do-Gooder." He took it all in good spirit and we never had any major differences of opinion. By his brilliant mind, his loyalty, and his selfless devotion to Franklin Roosevelt in helping carry on the war, Harry Hopkins soon erased completely any previous misgivings I might have held. Though it may get official denial the real fact is that American advance patrols on Friday, April 13th, one day after President Roosevelt's death, were in Potsdam, which is to Berlin what the Bronx is to New York City but the next day withdrew from the Berlin suburbs to the River Elbe about 50 miles south. This withdrawal was ordered largely because of a previous agreement with the Russians that they were to occupy Berlin and because of their insistence that the agreement he kept. This story by Drew Pearson is absolutely untrue. There was no agreement made at Yalta whatever that the Russians should enter Berlin first. Indeed, there was no discussion of that whatever. The Chiefs of Staff had agreed with the Russian Chiefs of Staff and Stalin on the general strategy which was that both of us were going to push as hard as we could. but it far outreached itself ; supplies were totally inadequate and anyone who knows anything about it knows that we would have taken Berlin had we been able to do so. This would have been a great feather in the army's cap, but for Drew Pearson now to say that the President agreed that the Russians were to take Berlin is utter nonsense. 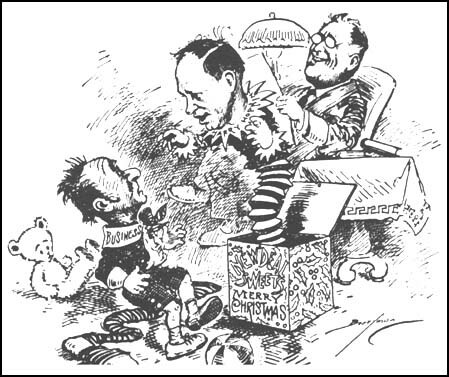 I wished him (Roosevelt) a happy holiday in Warm Springs, then went down to the Cabinet Room-where Hopkins, Rosenman and I had worked so many long hours - and I wrote the memorandum on MacArthur, then walked to the Carlton Hotel and told my wife that the President was in much worse shape than I had ever seen him before. He had seemed unnaturally quiet and even querulous - never before had I found myself in the strange position of carrying on most of the conversation with him; and, while he had perked up a little at lunch under the sparkling influence of his daughter Anna, I had come away from the White House profoundly depressed. I thought it was a blessing that he could get away for a while to Warm Springs, and I was sure the trip across the country to San Francisco would do him a lot of good. The thought never occurred to me that this time he might fail to rally as he always had. I couldn't believe it when somebody told me he was dead. Like everybody else, I listened and listened to the radio, waiting for the announcement - probably in his own gaily reassuring voice - that it had all been a big mistake, that the banking crisis and the war were over and everything was going to be "fine-grand perfectly bully." But when the realization finally did get through all I could think of was, "It finally crushed him. He couldn't stand up under it any longer." The "it" was the awful responsibility that had been piling up and piling tip for so many years. The fears and the hopes of hundreds of millions of human beings throughout the world had been hearing down on the mind of one man, until the pressure was more than mortal tissue could withstand, and then he said, "I have a terrific headache," and then lost consciousness, and died. "A massive cerebral hemorrhage," said the doctors - and "massive" was the right word. The morning after Roosevelt's death Hopkins telephoned me from St. Mary's Hospital in Rochester, Minnesota. He just wanted to talk to somebody. There was no sadness in his tone; he talked with a kind of exaltation as though he had suddenly experienced the intimations of immortality. He said, "You and I have got something great that we can take with us all the rest of our lives. It's a great realization. Because we know it's true what so many people believed about him and what made them love him. The President never let them down. That's what you and I can remember. Oh, we all know he could be exasperating, and he could seem to be temporizing and delaying, and he'd get us all worked tip when we thought he was making too many concessions to expediency. But all of that was in the little things, the unimportant things - and he knew exactly how the little and how unimportant they really were. But in the big things - all of the things that were of real, permanent importance - he never let the people down."